I certainly remember the days when I was a kid and used to play hopscotch with my friends back then. In the beginning, I was not able to make it through to the last box though; I practiced it enough to be a hopscotch champ. 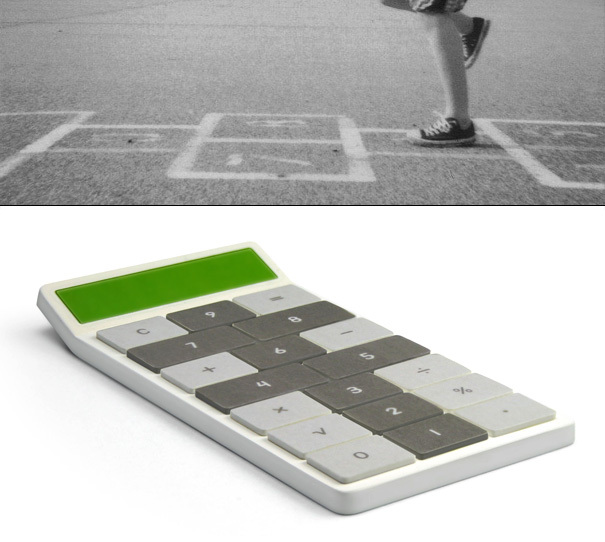 Well, its time to pull those memories back with a calculator keypad designed with the hopscotch play arena in mind. That’s just a 8-digit calculator offering basic math operation and smart enough to carry it around with great ease but wait a sec, my math is not that poor, so I won’t need that in my pocket anyways. Sure enough, if you have a math problem, this tiny electronic creature can help you.